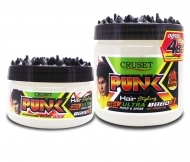 Cruset Platinum Hair Styling Gel 250 and 500 ml. Home Hair Care Hair Setting & Spray Cruset Platinum Hair Spray X-TRA Strong 220 and 400 ml. 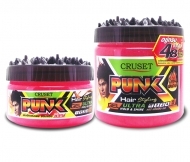 ครูเซ็ท พั้งค์ แฮร์ สไตล์ลิ่ง เจล อัลตร้า โฮลด์ & ชายน์ 250/500 มล. 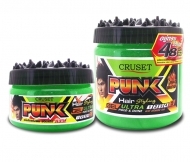 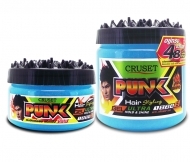 Cruset Punk Hair Styling Gel Ultra Hold & Shine 250/500 ml. 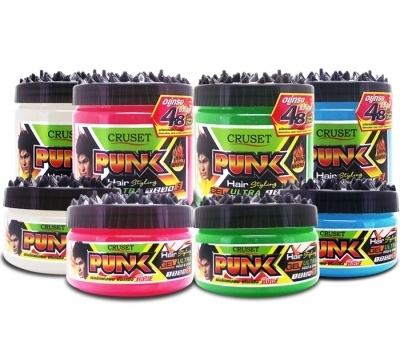 Ultra strong hold and extra shine high gloss with restylable effect. Let you create, fix and restyle without flake and tackiness.